The most beautiful things in life are often something one has to strive for and seek out with great effort. Beauty can be simply hard to find. The fact is, things that are lovely become BEAUTIFUL with hard work involved. We will treasure the beauty we find when the path has been long and difficult… it is just human nature to appreciate the dawn more because of the darkness it followed. There are times in my marriage where I feel intense love and desire for my man that can only be compared to the years of our young romance before marriage. The word spark is often used for such feelings but I feel more like they are an explosion in my heart. It is a fire that makes my heart feel too small, an urge that makes it unbearable not to be with him, a stabbing pain that makes me tear up with joy to touch him. I find these times in life BEAUTIFUL! I treasure them all the more after many many years of marriage and I feel blessed with them, as one receiving a very valuable gift, when I reflect on all the hard times we have had. There have been deserts in our marriage, I believe we are not unique in that regard. When we make it through still holding on to one another we are often tattered and warn, broken and bruised, dirty and just plain unlovable in many regards… and yet… with a little time to heal, a little repose from the battles we find time to build a fire again… we didn’t give up, we fought for the oasis… now we fan that flame when we have the chance and we enjoy the beauty of a crazy long lasting love. When I thought about the suggestion of ‘beauty’ as a topic this week this concept filled me up till I felt burdened to release it. Listening to my husband play his piano, a moody passionate piece I must add, has greatly aided my paper and pen time today. I just want to close with the idea that if a marriage is still together it is BEAUTIFUL. 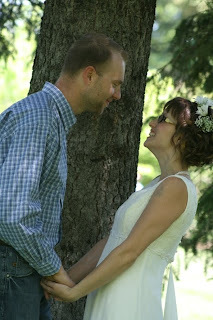 12 Comments on "Beauty or Open Topic Marriage Monday"
YES! YES!! SO TRUE, SO TRUE! AMEN!! Oh and we LOVE Fernando at our house!!! Date’s for a couple are hugely important. So beautifully written….thanks for sharing! I like your idea that is a marriage is still together it is beautiful. Indeed. Amen! And it’s so important to realize that marriage does go through these different stages. It’s not all roses all the time. Making it through the difficult times is definitely a moment of beauty! Beautiful thoughts, a beautiful lady, a beautiful marriage! beautifully said, Mac 😀 so full of love! AMEN to that! Your post is beautiful! Thank you! And thanks for stopping by my blog and leaving a comment. Blessings to you! WOW…that’s exactly how I feel about my husband! He causes an explosion in my heart!